Preheat oven to 350 degrees. Grease and flour bundt pan or 10″ tube pan. Combine cake mix, jello, eggs, water and oil. Beat with electric mixer for 2 minutes. Pour into pan. Bake for 55 minutes. Cool in pan for 20 minutes. 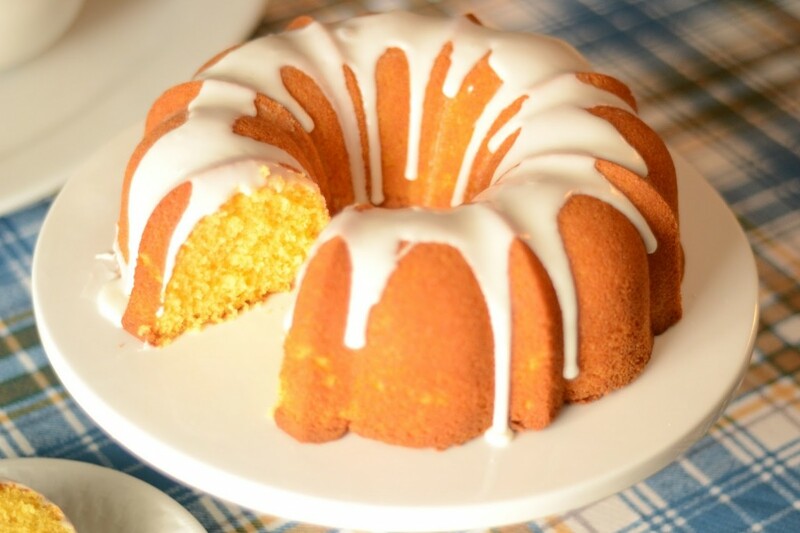 Use fork to make holes and pour glaze over cake and let cool another 15 minutes. Remove from pan. Cool cake completely. Glaze top of cake with 2nd glaze mixture. Glaze – Mix juice of 1/2 lemon with 3/4 to 1 cup of powdered sugar until syrupy (for 1st glaze). For 2nd glaze, mix juice of 1/2 – 1 lemon with 2 to 3 cups of powdered sugar depending on how much juice is used.